The morning after our Nationality ceremony at the University of Belize gymnasium, Dianna and I were relaxing with a nice cup of Nescafe instant coffee in our hotel room, watching local news on TV, when on came a report about the ceremony from Belmopan's Plus TV. Actually, it was longer than that, as we got the call from Immigration on Wednesday, letting us know that our Nationality application had been approved (this had been a three-year-and-three-day wait). Immigration also told us that we had to have our Nationality fee ($300.00 BZD, each) paid by Thursday. Immigration said we could pay the fee in Corozal. There was a real sense of urgency to all this. So, right away, I told Dianna what was happening, and that I was going down immediately to Immigration to pay the fees. I got to Immigration at about 11:30 AM. Now, our experiences with the Corozal Immigration from three years earlier, were that nothing happened with any speed inside their office. It was a pleasant surprise to find an open window as I came in and a friendly sounding uniformed Immigration officer asking if they could help me. I explained I was there to pay our Nationality fees and showed our receipt that we had gotten three years before when we submitted our application. There was some consternation on their part that I only had one receipt. I explained that way back then, Immigration at Belmopan told us they were consolidating our application under my 'case' number. Luckily, I had written Dianna's 'case' number on the receipt, so the officer was able to write up two receipts for our fees. 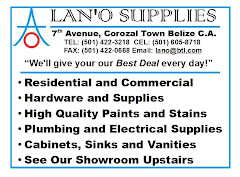 However, as most folks who deal with the Corozal office know, they don't actually handle any money there. You have to go back downtown to the Sub-Treasury Office beside the Post Office. Which is where I ran off to as soon as the Immigration officer handed me the initial receipts. At the Treasury office, all went well. I asked where the nearest place was to get copies of the Treasury receipt. I had been told by the Immigration office that I needed to have a copy of the receipt that Treasury would give me. Of course, the Treasury office had a large sign in their cashier's window saying they didn't make copies. The clerk told me either the school supply store across the Central Park square or the Library. Exiting, the Treasury, I glanced toward both places and decided neither was going to be quick Which is what I needed right then. I jumped back in the pickup and zoomed over to INK Supply, a few blocks away. Much to my chagrin, they were packed with teachers getting lesson materials copied and colated. As I went in, Miss Clara noticed me and asked what I needed. I showed her the small receipts I had and that I needed copies of each. Luckily, she took them and pulled one of the teacher's copy jobs off and ran mine. Whew. I jumped back in the pickup and rocketed back to Immigration, and miraculously was able to find a parking place directly in front of their office. I ran in, gave the same officer the receipts and got the most necessary rubber stamps on the varioius bits of paper. I made it at two minutes to twelve. We were good to go to head over to Belmopan. We contacted Colleen, who immediately said she would babysit the dogs and cats for us. All was set for our adventure to begin. The following morning, we asked Carlos, our caretaker, to be in charge of tying the dogs up when the construction guys came and to let them loose after they had departed. We gave Colleen a rough primer on where the food was for the animals, and how to do this and that in our house, and zip, bang, boom, that was it. We jumped in the pickup and away we went to Belmopan. That was a little after 11:00 AM on Thursday. Somewhere in there, Dianna had called and made a reservation for us at the Hibiscus. We got in to Belmopan around 3:30 PM, or so. Found the Hibiscus - Boy, had things changed in Belmopan. New round-a-bouts, and new paving, made things look different and confusing. 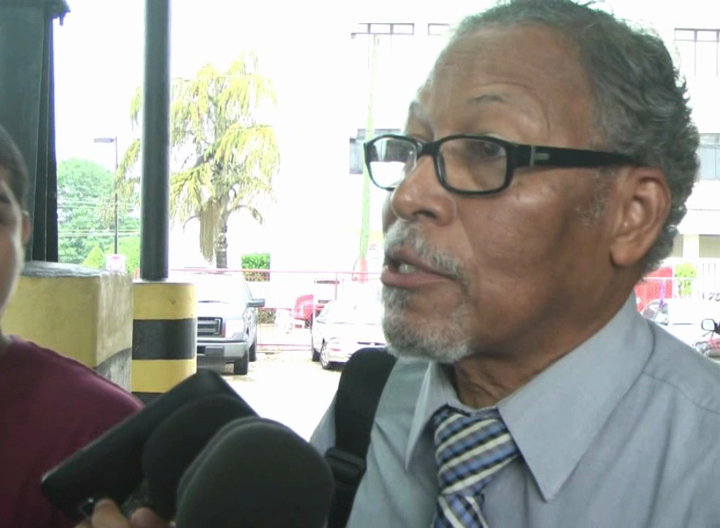 It was fun to watch the news report (http://www.plustvbelize.com/200-new-belizeans-with-elections-around-the-bend/) because it covered the big picture of the ceremony and the final process at the Immigration offices earlier in the day. Here's my interview clip (http://youtu.be/tD_JojbCcaM) featured in the report. Enjoy. The whole experience was an eleven-hour ordeal. To start at the beginning, we had been told to be at Immigration in Belmopan by 7:00 AM, Friday morning. This meant that we had to go over to Belmopan on Thursday. We stayed downtown at the Hibiscus Hotel. We checked into our room. A king-sized bed. Wow. Luxury compared to our double bed at home. 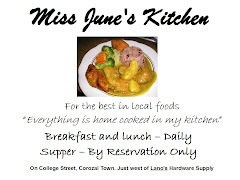 We went next door to Corker's Restaurant for a nice dinner then hit the sack to get ready for the following day's ordeal. Friday morning arrived bright and early. I showered (a cold shower as there was no hot water for the shower). A cold shower being relative, as the cold water was probably around 78-degrees (f) as usual, so it wasn't exactly a chilling experience. We skipped breakfast. I guess we assumed there'd be opportunity to grab a bite later on. Not so much, really. The morning at Immigration was bizarre and became more so as the morning wore on. We had assumed that we would be done with the ceremony by 10:00 AM - 11:30, at the latest. After initially lining up, we were told after an hour or so to gather round the doorway to the passport section, so we could hear when our names were called. Of course, as yet, no one had turned in their receipts, which, every time an Immigration offficer appeared, hands clutching receipts began to wave in the air. And, each time, the officer would grab a few receipts and duck back inside the building. Immigration also had a small awning set up on the grounds, and had brought in some plastic chairs which were more or less placed under the awning. This was suitable for, maybe forty or fifty people. But, since the crowd had grown to be around 200 or so, clearly was inadequate. Some folks did use the awning to escape the rain. One good thing about the rain, was that it seemed to dampen the ardour of the Immigration officer who was determined that we would line up in some particular fashion. Instead, they seriously began to collect the receipts. We then still had to listen for our names to be called. Checkout time at the Hibiscus was 11:30 AM. At 11:00, I knew we were going to need the room for another night. I called them and secured our room for Friday. Finally, around 12:15, my name was called. I told Dianna to come in with me, since I figured they would be confused since everything they had was contained in one file under my 'case' number, even though we had turned in two receipts. That was a lucky call. They had both our names under the one 'case' number. We were in. They gave us new receipts that had a penciled number (mine was 155, Dianna's was 156), and we were told to be over at the University of Belize gymnasium at 1:00 PM for the actual ceremony. After getting some rudimentary directions, we headed out to find the gymnasium. Eventually, we stopped at a store in a strip-mall sort of affair and asked the clerk directions. "Go this way and so" was essentially what we were told. and of course, "you can't miss it." Which pretty much guarantees you'll be perpetually lost. We weren't. we actually did find the U of B. We asked what we thought was a student where the Gymnasium was. Turns out he was a Nationality applicant, just like us. He told us where to go and hopped into the bed (or pan as it's called here) of the pickup and away we went over an amazingly bumpy road to the Gym. We parked. and went inside. 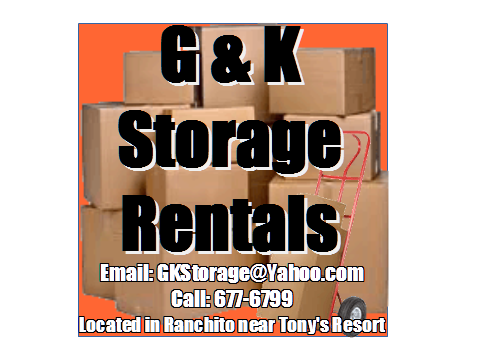 There was a whole fleet of white folding chairs set up and more plastic chairs were arriving. We began the organizing process again. We had been led to believe that we would find our seat number and sit. Not so simple. None of the chairs had numbers. So, some sat, some just kind of mingled around. Then an Immigration officer attempted to take charge. I think it was the same Immigration officer as before. This time, she wanted us to line up. No, that wasn't going to work. Then, we were directed to sit in the nearby bleachers. I actually thought we'd find our numbers in the bleachers. No. But we did sit there for an hour or so. We were entertained by watching Immigration staffers attempt to hang a banner on the wall behind the podium using a common office stapler. Then they tried to use massive amounts of masking tape. Eventually, it got up. I had visions of it peeling down and falling over the dignitaries while the ceremony was happening. And now the Immigration officer wanted us to line up single file in numerical order. We fumbled about with that for at least half an hour. Giving up with that, they decided on a new strategy. They would call our name and two or three Immigration officers and staff would guide us to the chair they wanted us to sit in. Eventually, all two-hundred and ten of us got seated more or less in the correct order. You'd think Dianna and I would be seated next to each other, at least going by our initial assigned numbers. Not so much. Dianna was about fifteen seats away from me on the other side of the gymnasium. By now, it's about 3:30 PM, or so. The ceremony got kicked off about 4:00 PM. One of our fellow applicants played the Belize National Anthem on recorder. An amazing job of it too. He did a beautiful job of it, concert quality. Then there was a recitation of the Belize National Prayer (Amen). This was followed by a couple of speeches by Ministers of government. The first, I couldn't tell you who the Minister was. The second, by Minister Godwin Hulse, Minister of Immigration, Labour, Local Government and Rural Development. He's also head of NEMO - the National Emergency Management Organization, was actually a very good speech. In it, he detailed all twenty-six countries the applicants had come from, our responsibilities as citizens, etc. 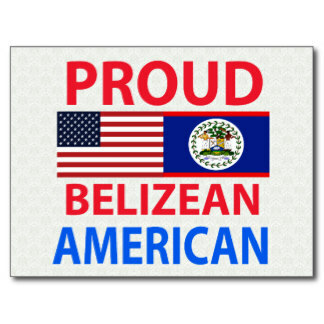 In the end, I think, we all swelled with pride that we were becoming Belizean. There were a couple of more speeches. Then Minister Hulse led us in a recitation of the Citizenship Oath. Then came the good part. We got called in order as seated, to come, one at a time, up on stage and receive our Nationality Certificates and to shake hand with the dignitaries. Of course, we were toward the last of the crowd. That was fine. 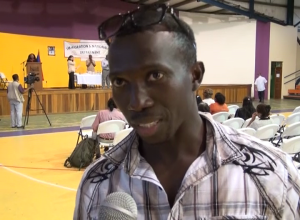 As I left the stage, I was stopped by a reporter for Belmopan Plus TV and interviewed. We first saw it Saturday morning as we sipped our coffee in the king-sized bed at the Hibiscus. The ceremony finally concluded, after a couple more brief speeches, at 5:15 PM. A little over ten hours. Whew! A very long day. We made it back to the Hibiscus and dinner at Corkers, then back to our room and sleep. 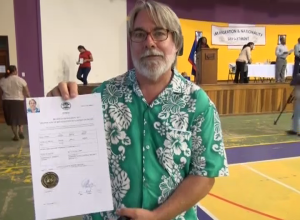 Now, before anyone takes a dive off the deep-end, yes, we've become Belizean Citizens. No, we didn't give up our US citizenship, nor are we required to do so. Dual citizenship is allowed for certain countries, Belize being one of them. Incidentally, we feel a great deal of pride in having become Belizean Citizens. This process gave a great feeling of accomplishment. Perhaps something similar should be required of natural-born US citizens. Going through it really does put you in touch with the country's history, government, culture, etc. It might help some wingnut Americans reconnect with what it really means to be an American. It ain't all guns and some guy on a cross. The US is called the Great Melting Pot. 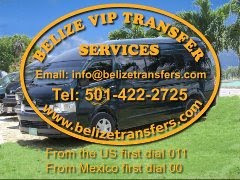 Believe me, after that ceremony, you know that Belize IS the true melting pot. We're very proud to be a part of that process.